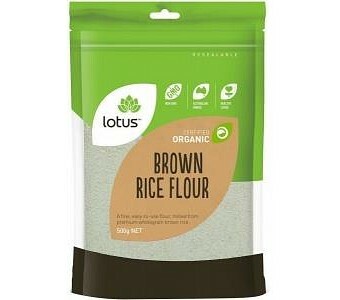 Lotus Organic Brown Rice Flour is a naturally gluten free, fine, easy to use flour, milled from premium wholegran brown rice. Ingredients: Milled Brown Rice Grain. No Preservatives or Additives. Certified Organic by ACO.